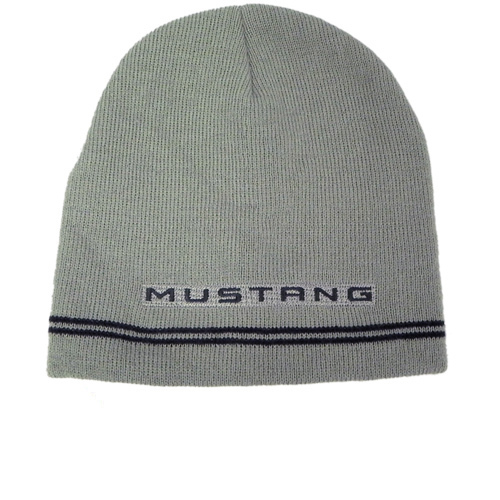 Our Ford Mustang beanie is grey with contrasting stripes around the edge. The word Mustang is embroidered in thread, matching the darker grey stripes. This beanie is made of soft acrylic yearn and is imported. Keep your head warm with this Official Licensed Product from Ford Motor Company. It is a must during those cold wintery months.